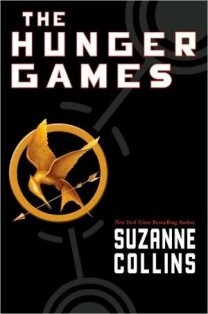 I finished reading The Hunger Games by Suzanne Collins. The Hunger Games is about sixteen-year-old Katniss, who illegally traps and collects food for her widowed mother and little sister from the forest outside the legal perimeter of District 12. District 12 is the poorest of the dozen districts constituting Panem, the North American dystopic state that has replaced the U.S. Katniss’s hunting and tracking skills serve her well when she is thrown into the nation’s annual Hunger Games, a fight to the death where contestants must battle harsh terrain, artificially weather conditions, and two teenaged contestants from each of Panem’s 12 districts. District 12’s second tribute is Peeta, the baker’s son. Peeta has been in love with Katniss since he was five. The plot twists increase the tension and keep the story moving forward. I really got into this book; it was one of the better books I have read so far this year. I enjoyed the unique life and death plot line. I found The Hunger Games to be well written. I can see this book being made into a movie. I’m looking forward to reading Catching Fire , the sequel to The Hunger Games, when it is released in September.